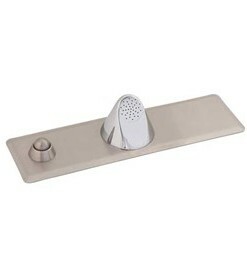 The 3373-WSF Single Temp Widespread Ligature Resistant Faucet is designed to retrofit existing lavatories or it can be specified for new construction. 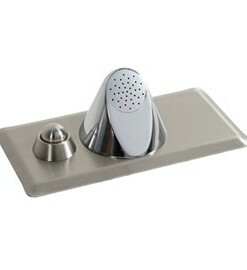 This faucet is arranged to be mounted to the deck of the lavatory. 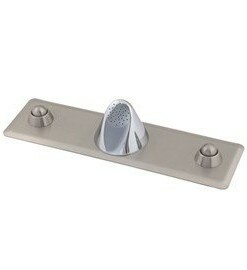 Faucet requires (2) 1-1/2” diameter holes. 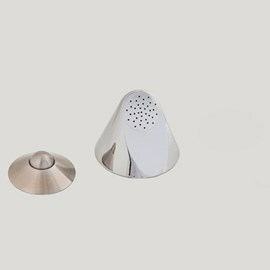 As loose components, the spout and pushbutton may be installed with any spacing, however, 4”,6” or 8” are suggested. 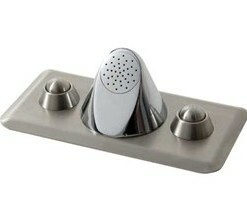 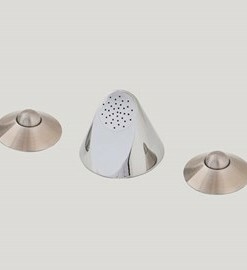 For retrofit into three hole lavatory decks, a plug with a stainless steel top is provided.